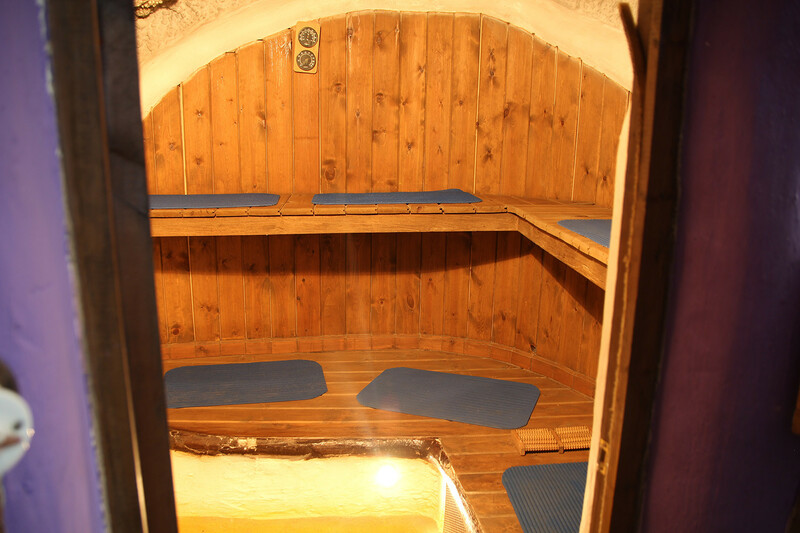 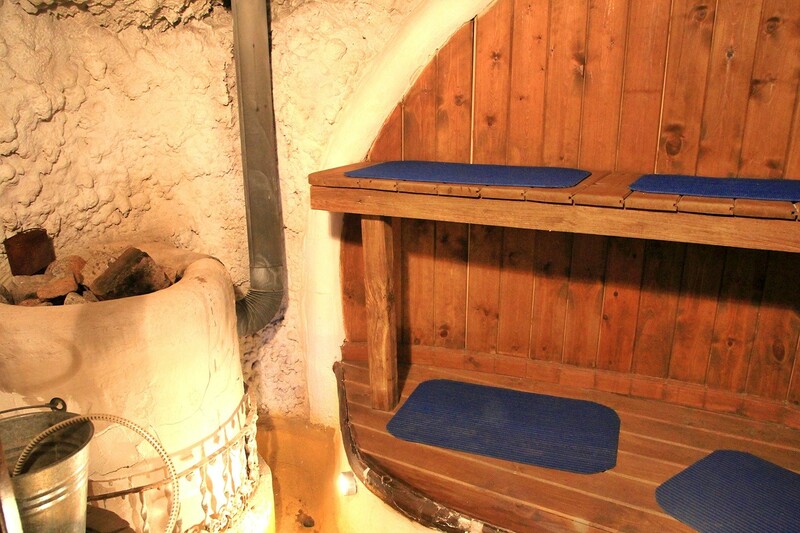 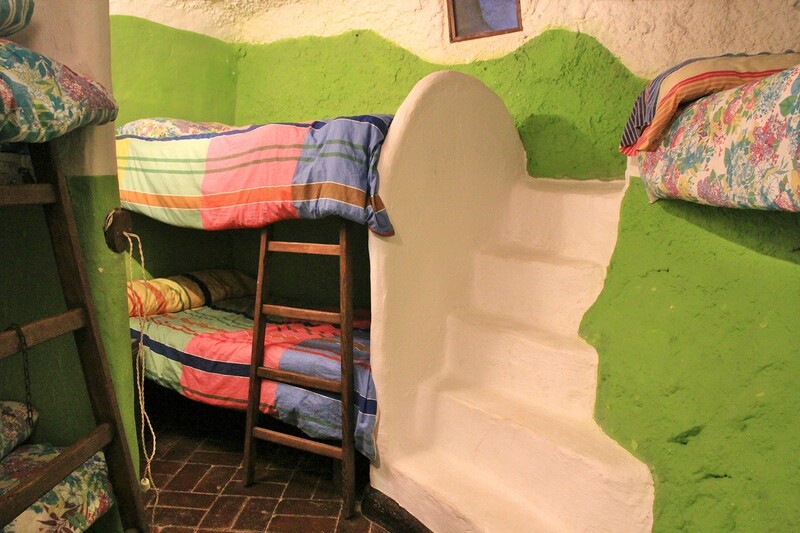 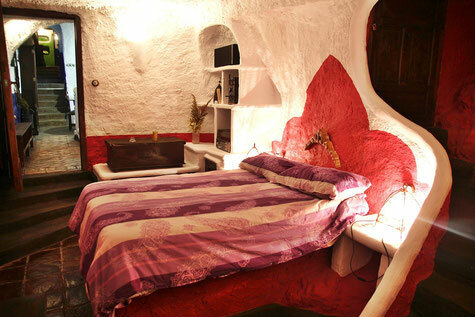 The cave has three bedrooms, a kitchen, a living room, a sauna and a bathroom. 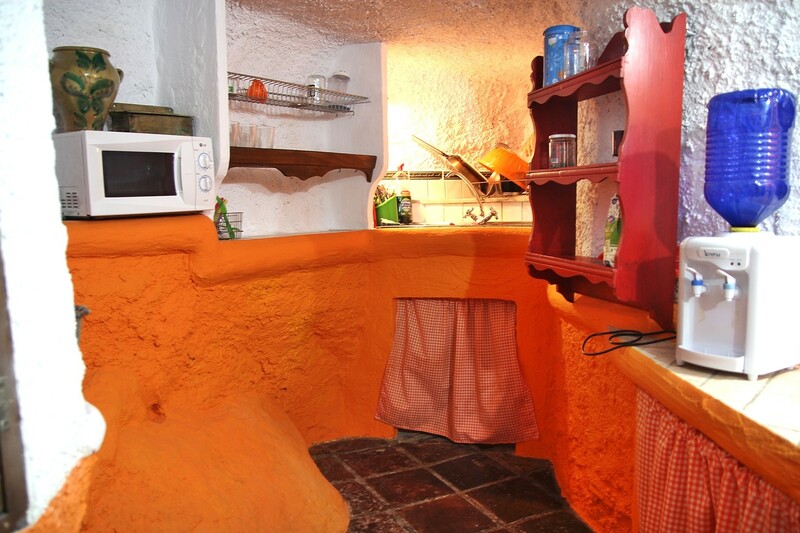 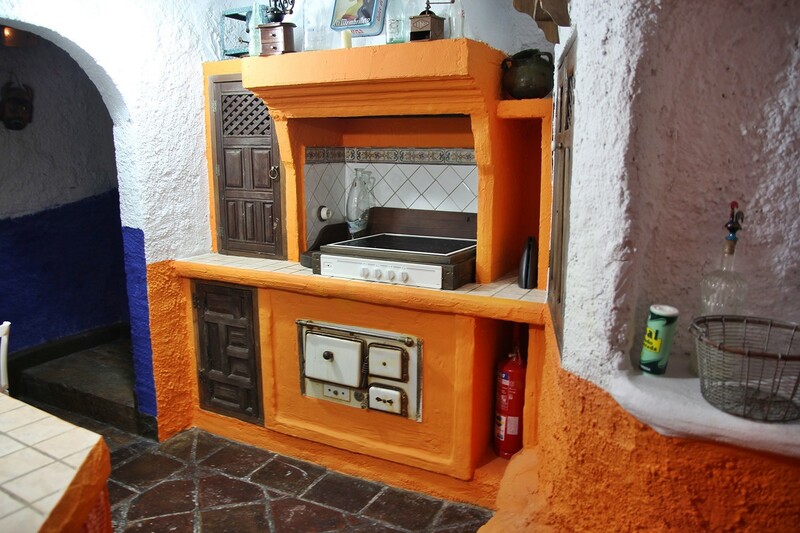 It has also a spacious kitchen with a barbecue and terrace on top of the cave. 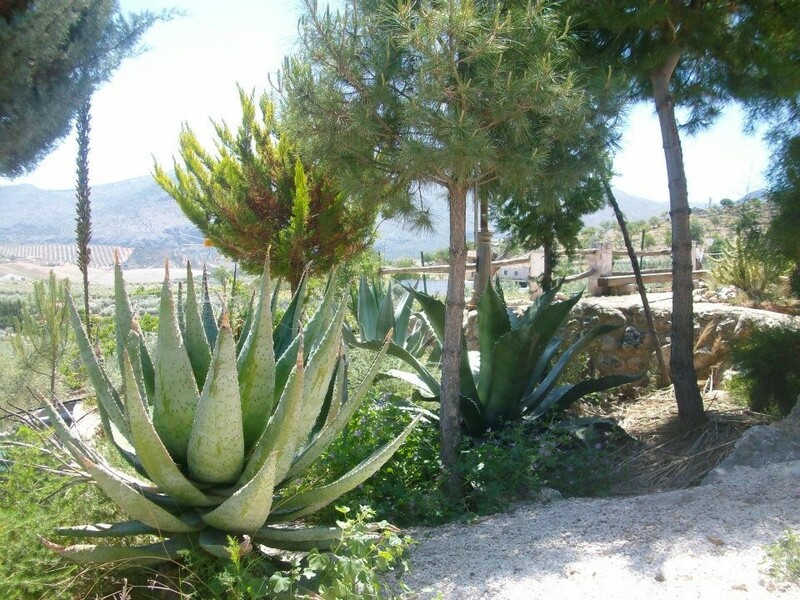 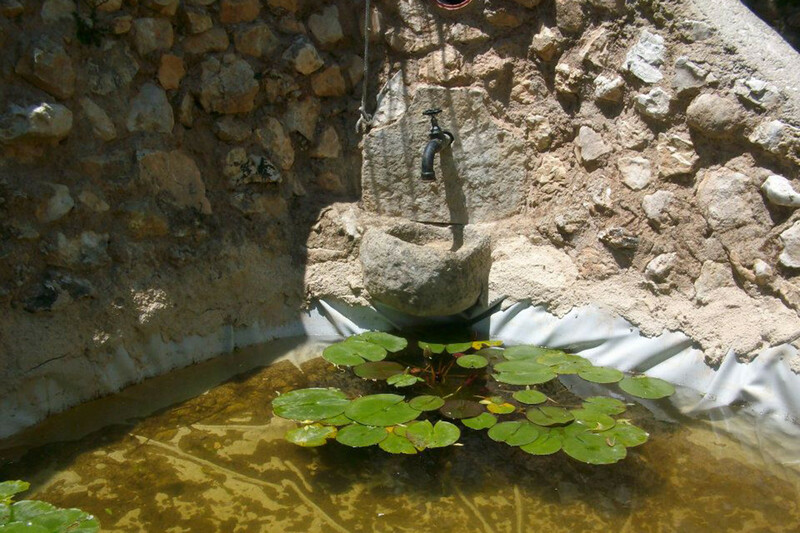 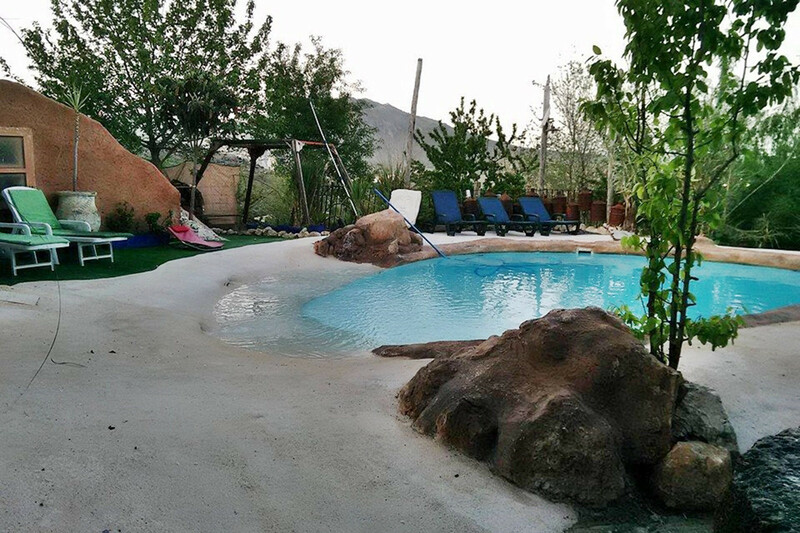 It is the ideal base for a relaxing holiday in close contact with nature. 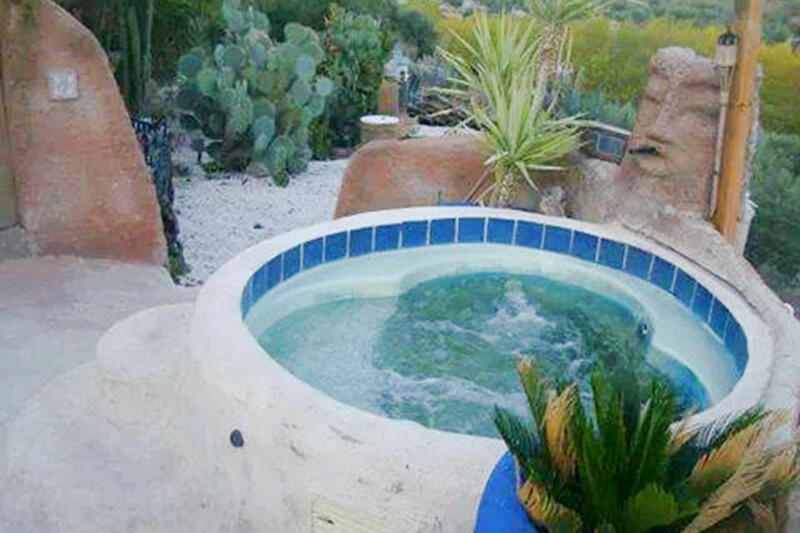 The large garden has a private swimming pool and jacuzzi. 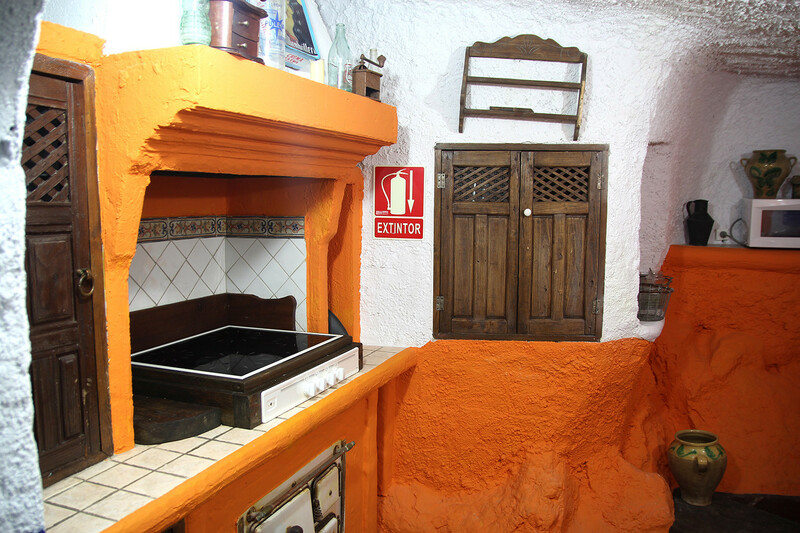 The city of Loja is situated on 2,5 km distance. 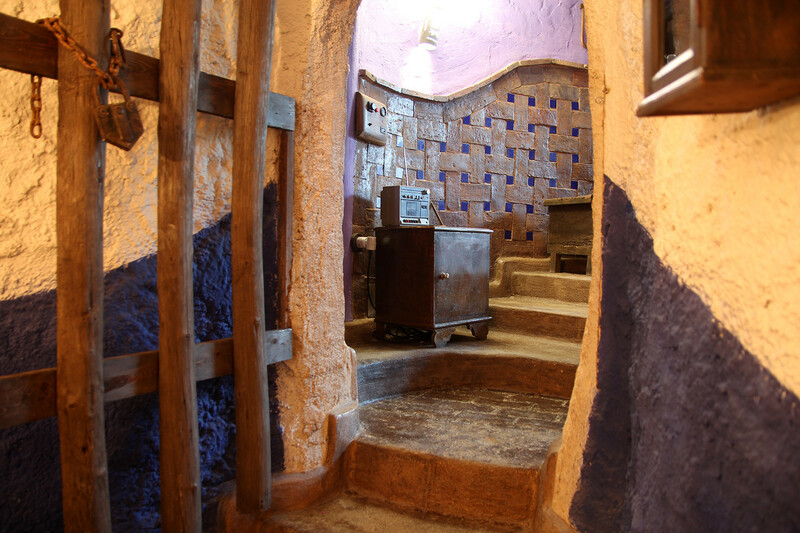 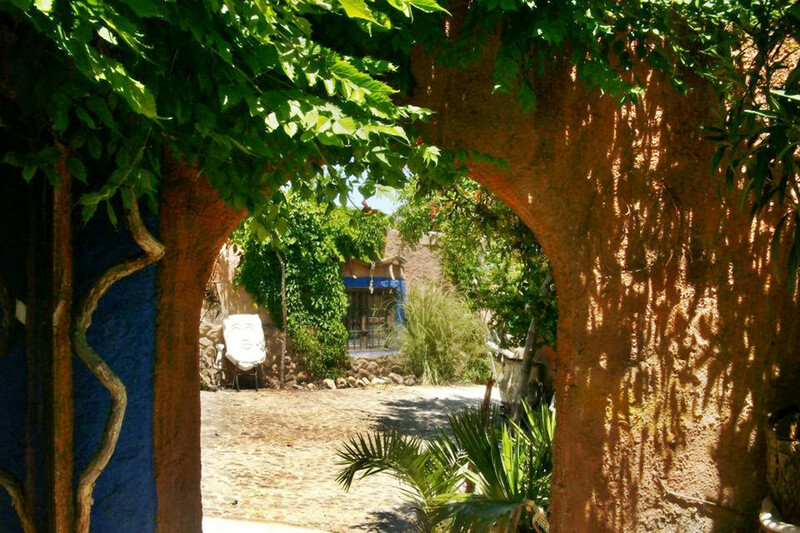 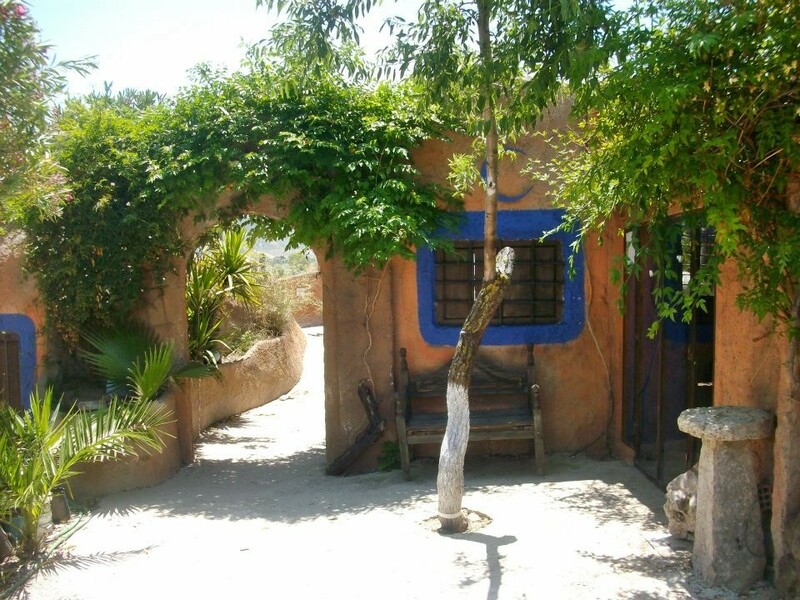 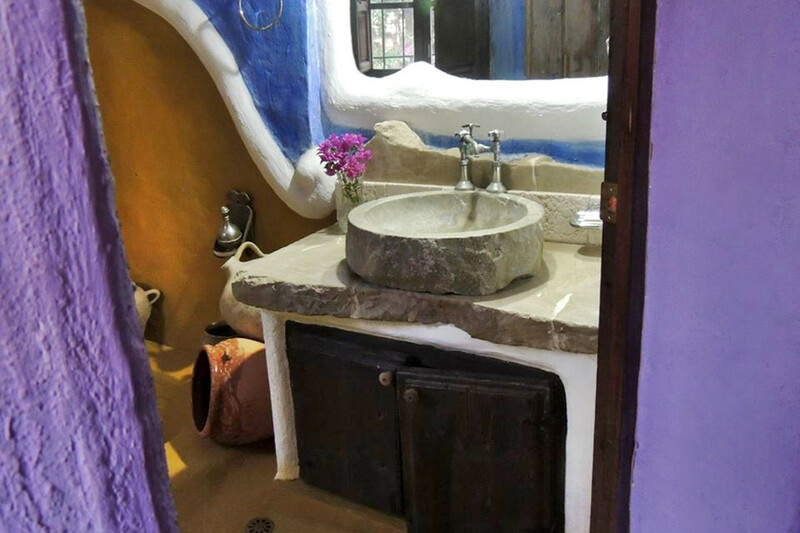 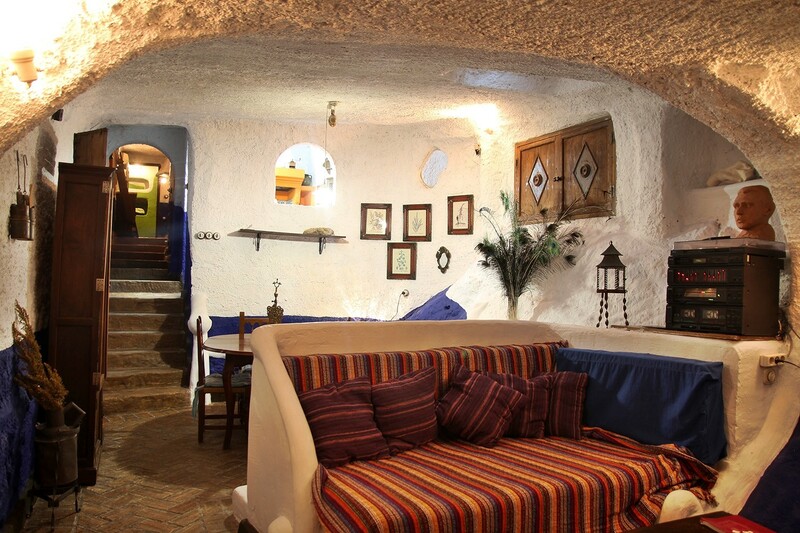 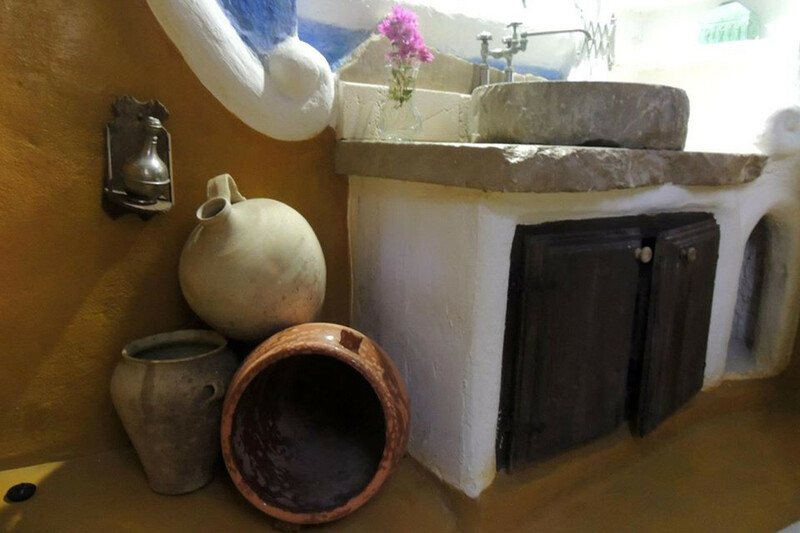 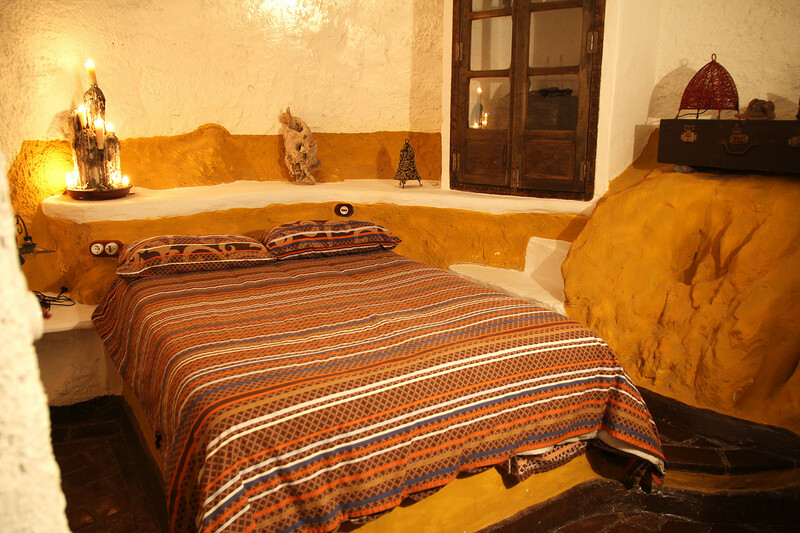 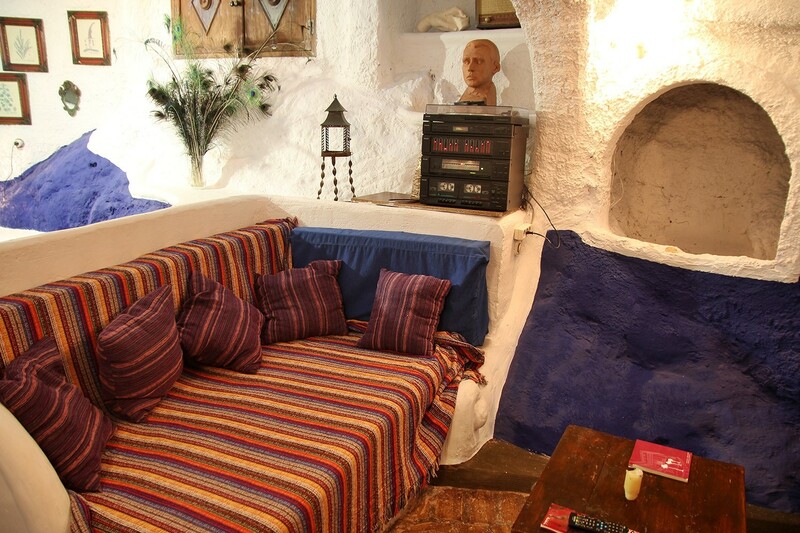 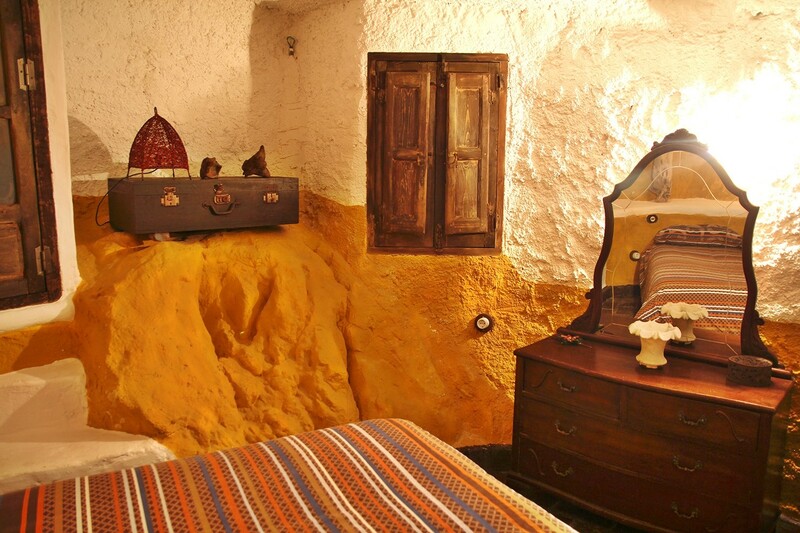 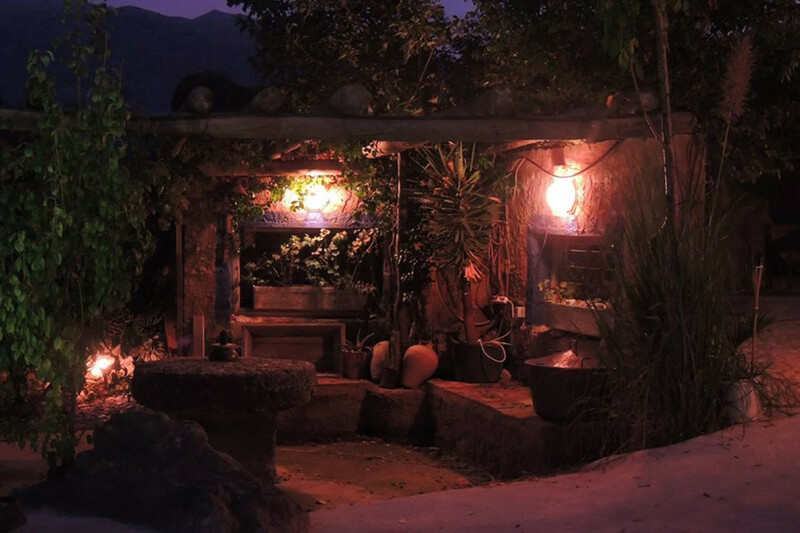 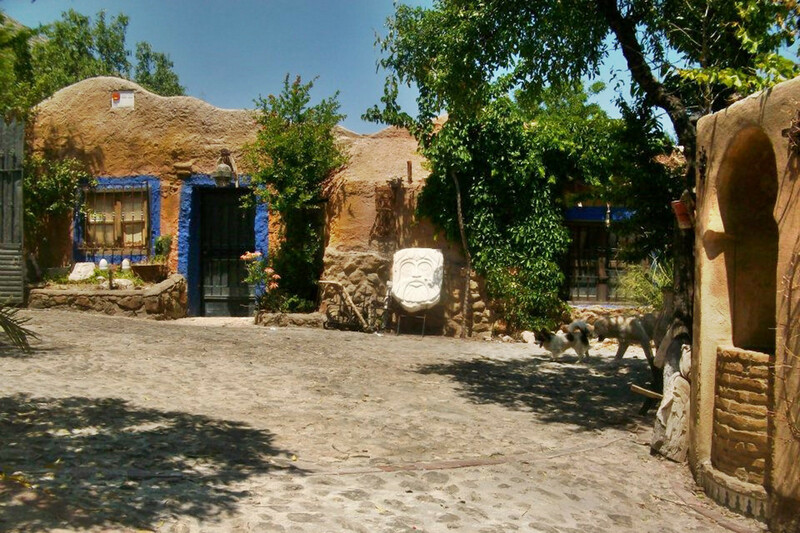 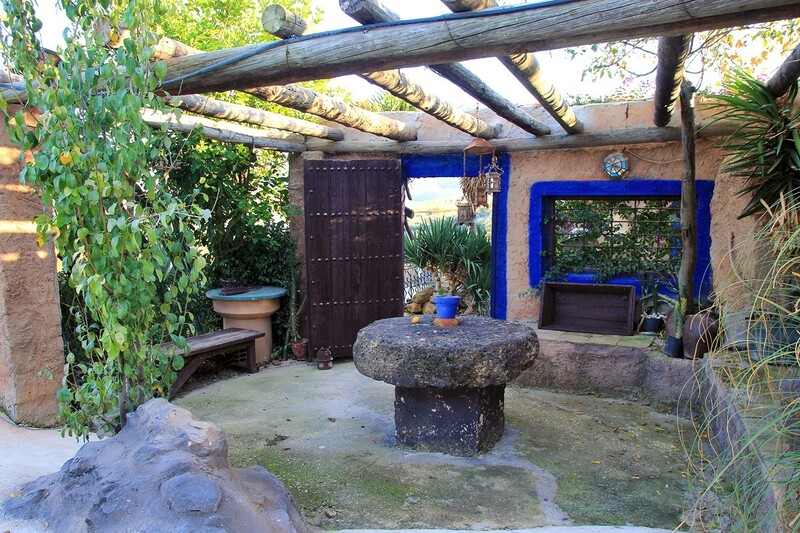 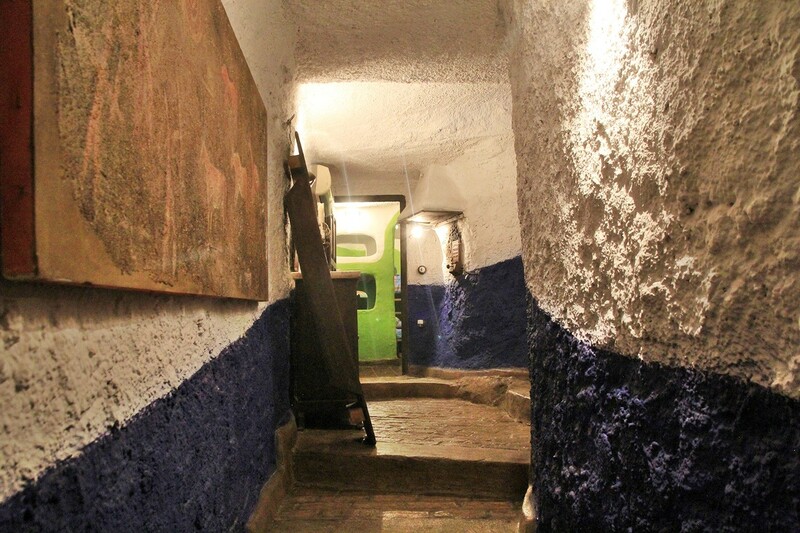 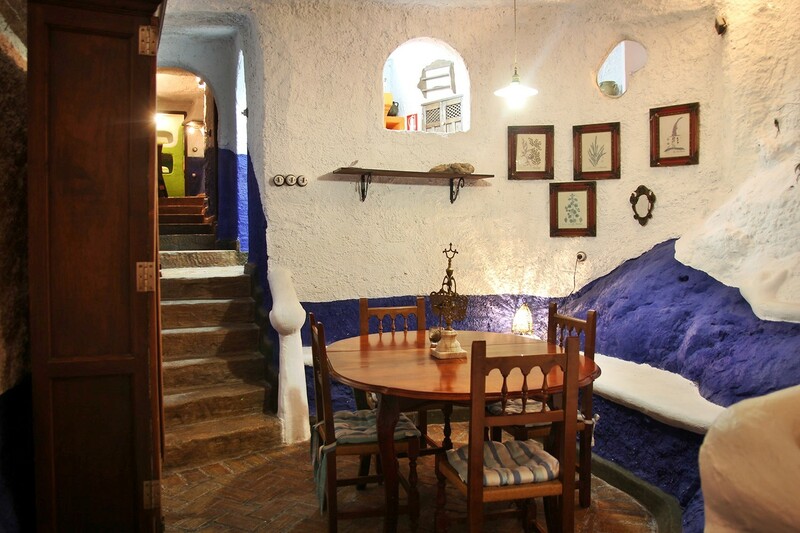 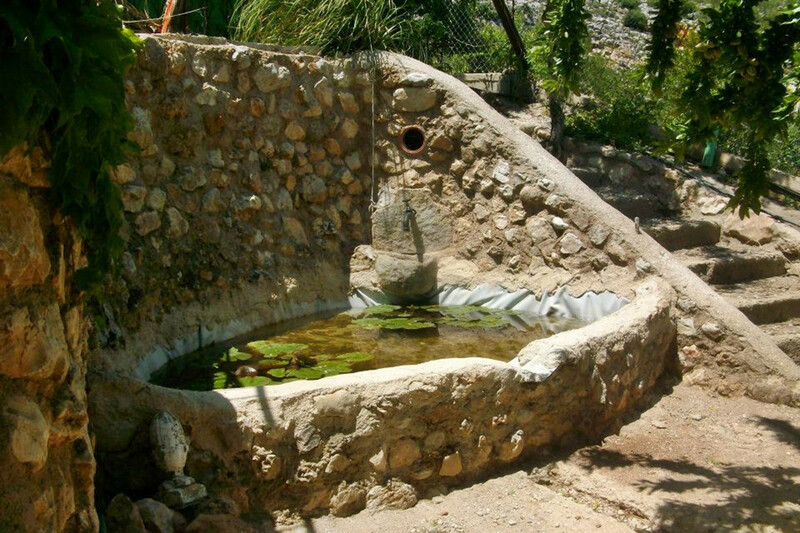 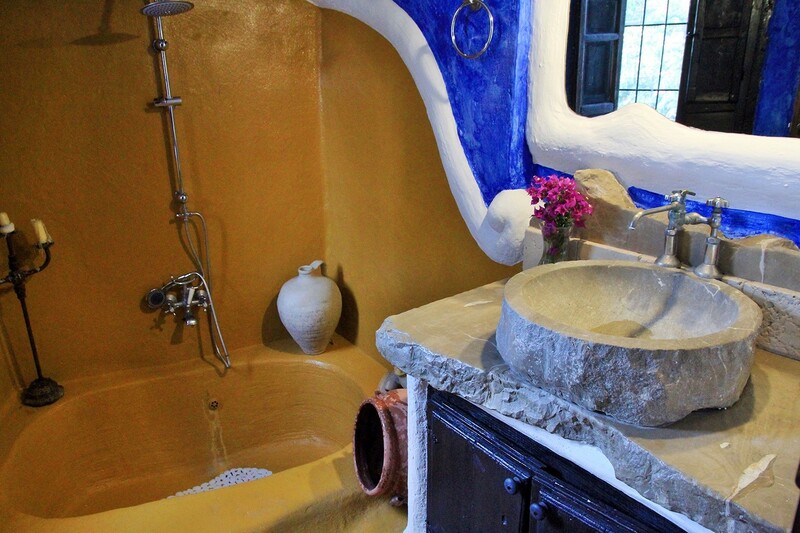 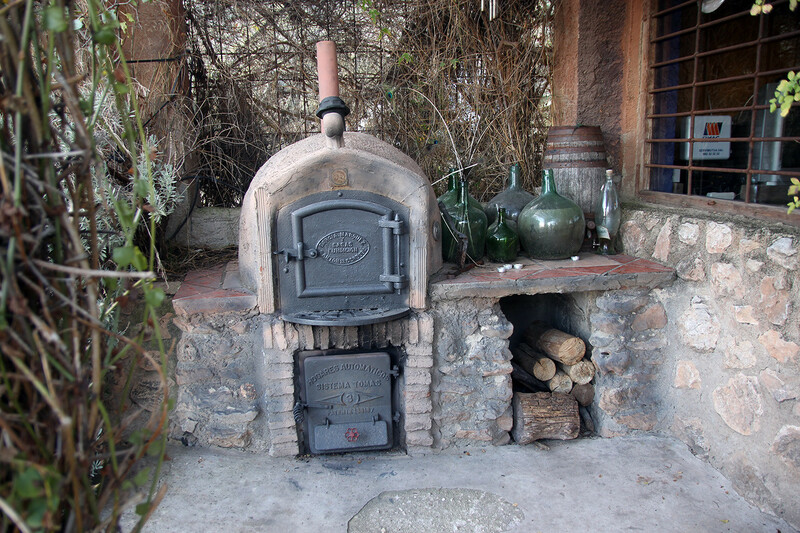 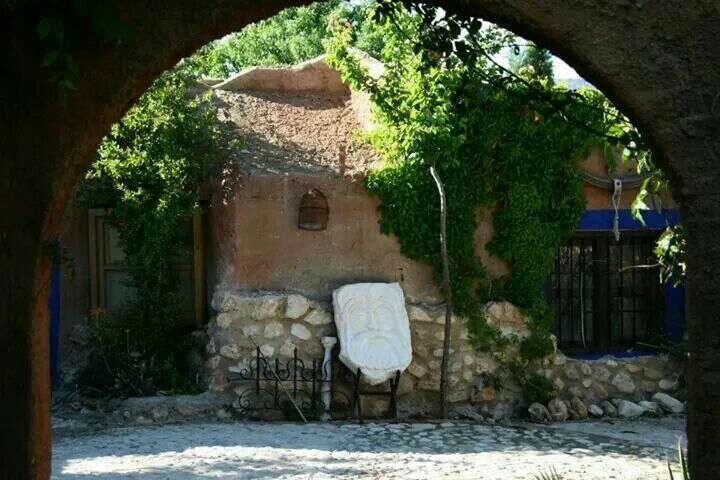 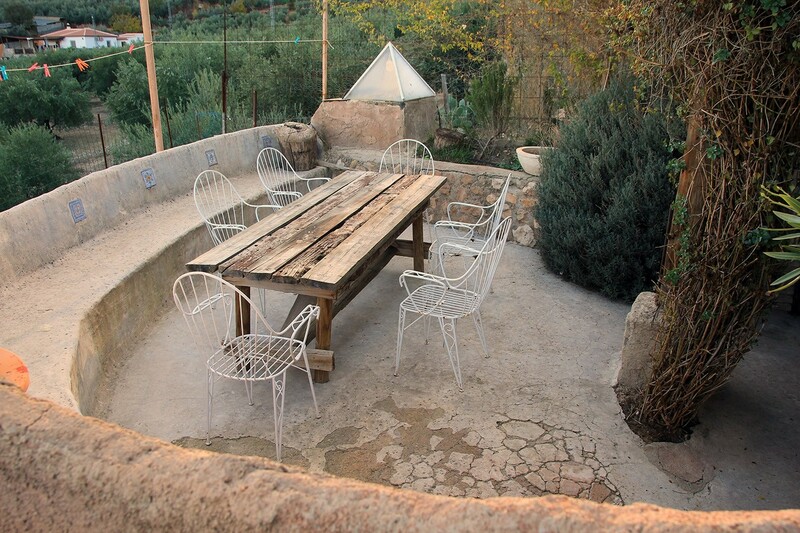 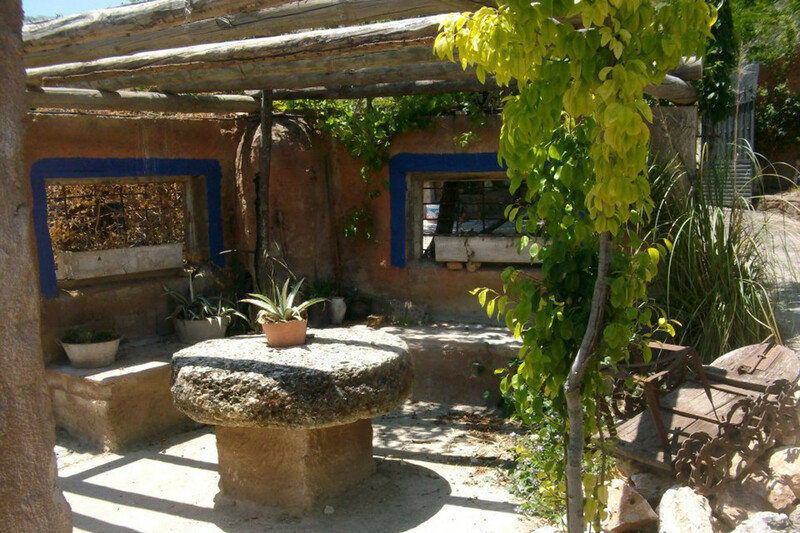 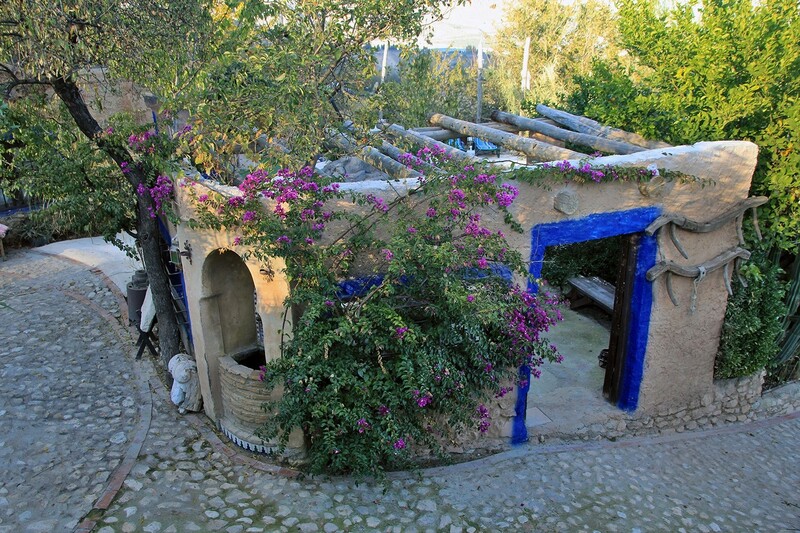 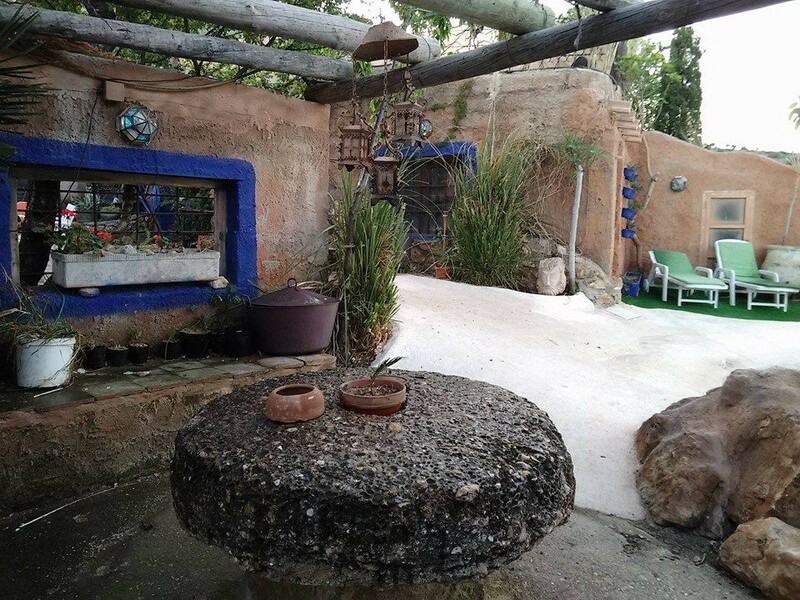 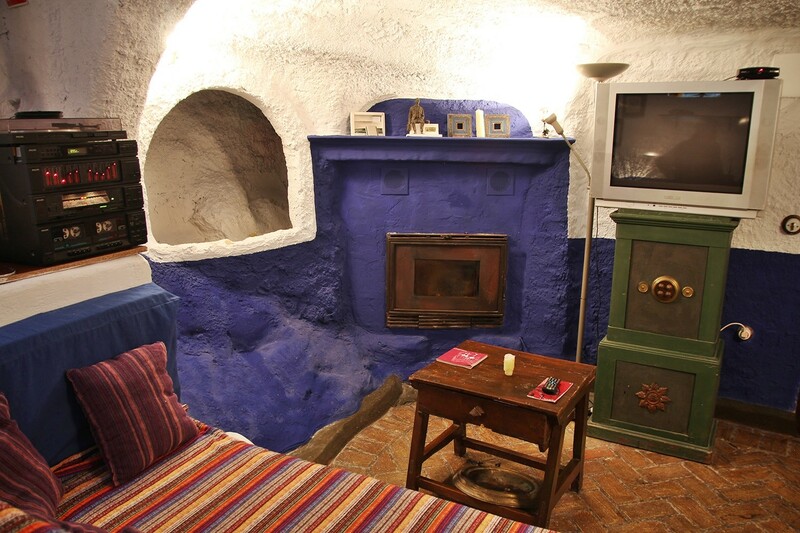 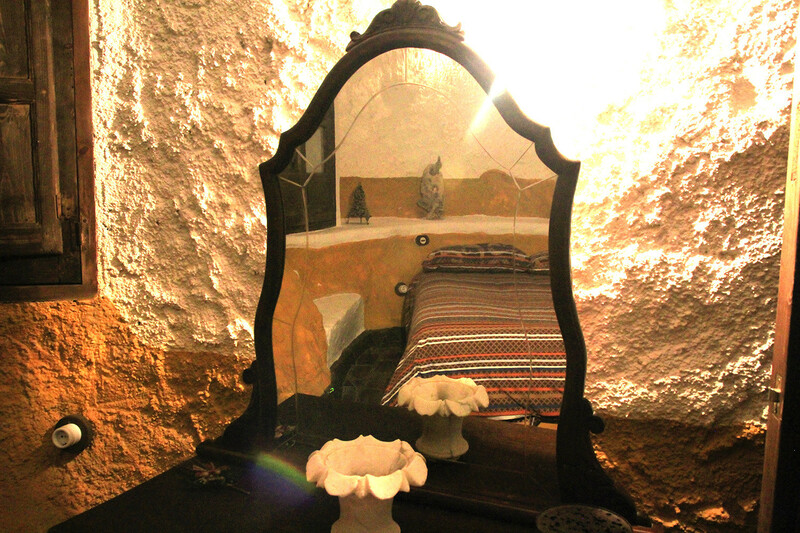 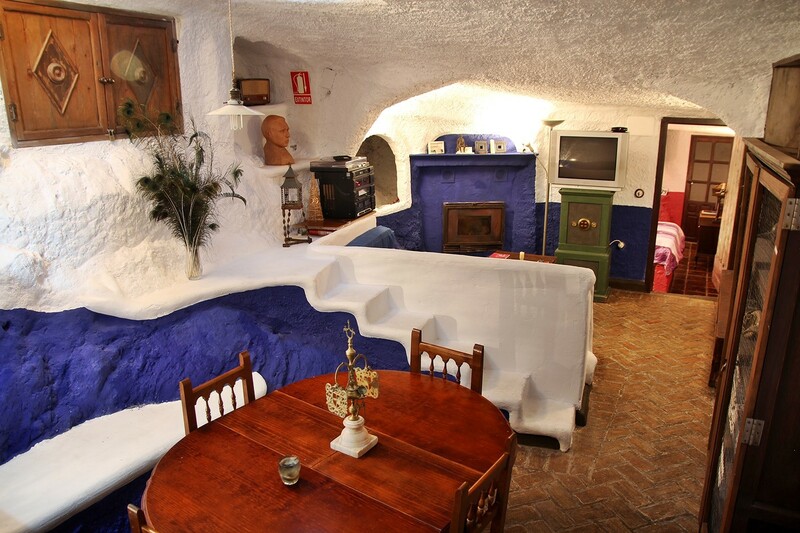 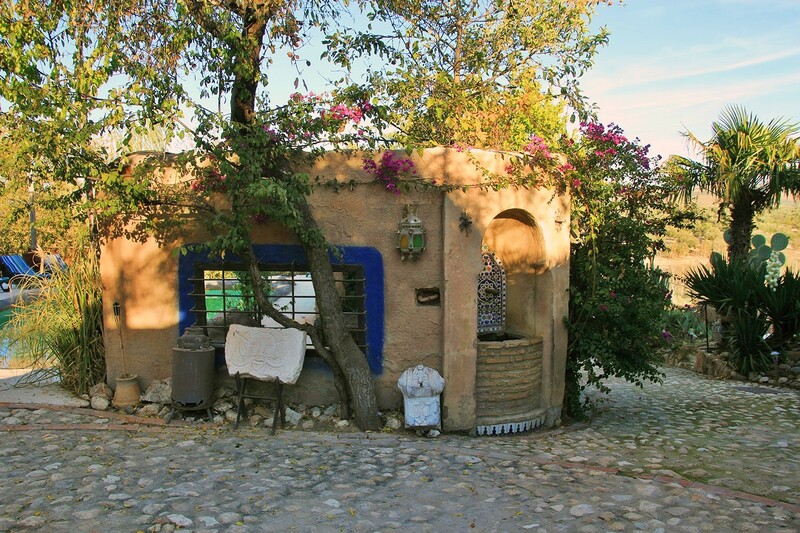 This private ecologic cave house has been built for a great part of recycled materials which gives it a lovely look. 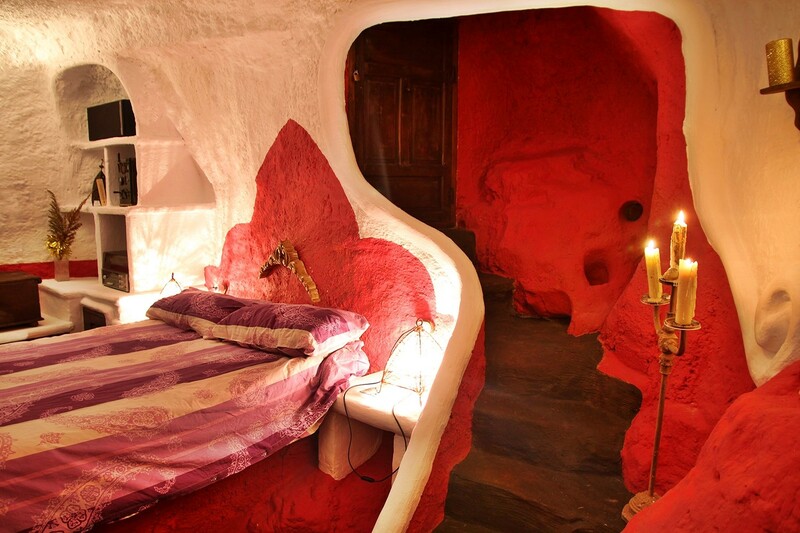 The cave is in reality not a real authenic cave. 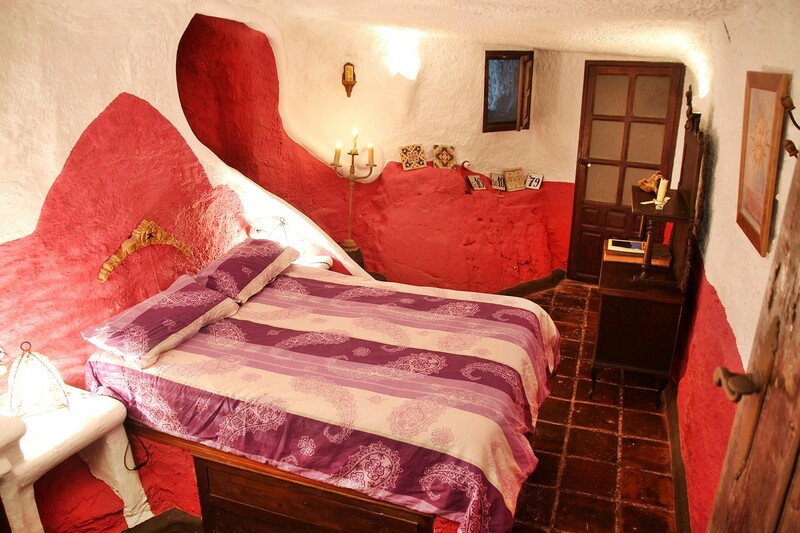 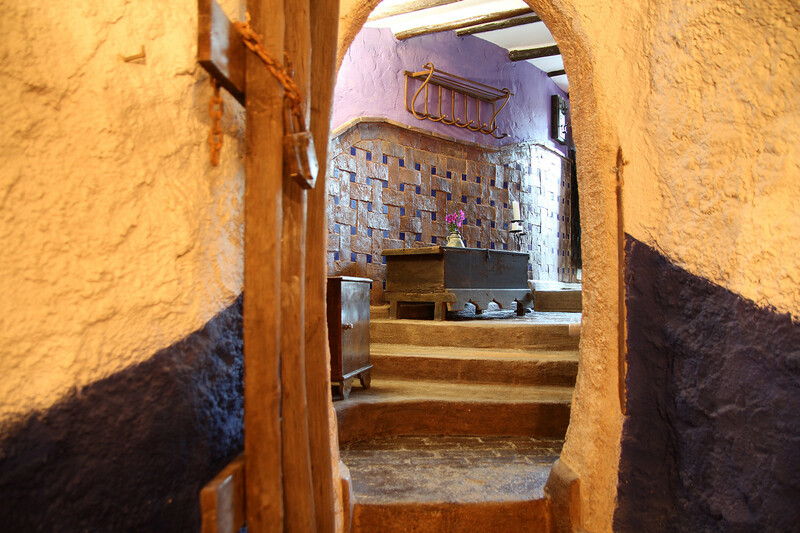 The mountain side and its coves have been used to create the rooms and after this the construction has been covered with earth. 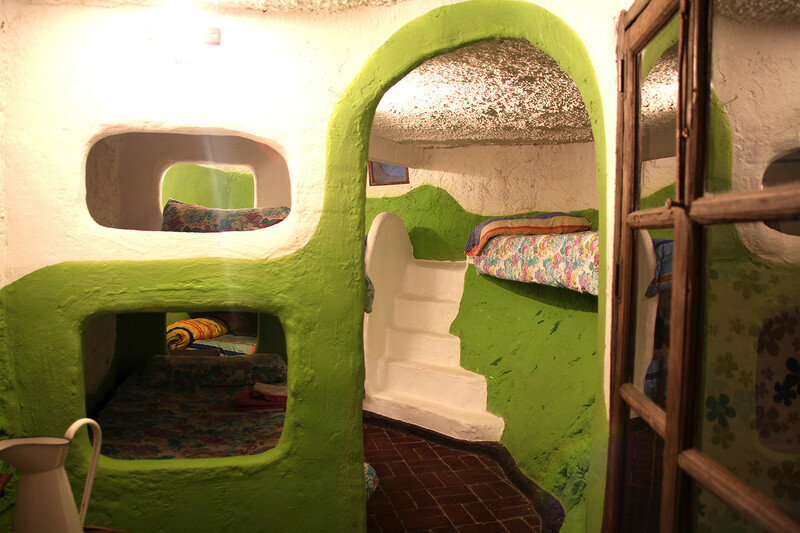 The house is almost entirely under the ground level, which means that inside there is a special microclimate, all rooms have natural light or by small windows or skylights in the roof. 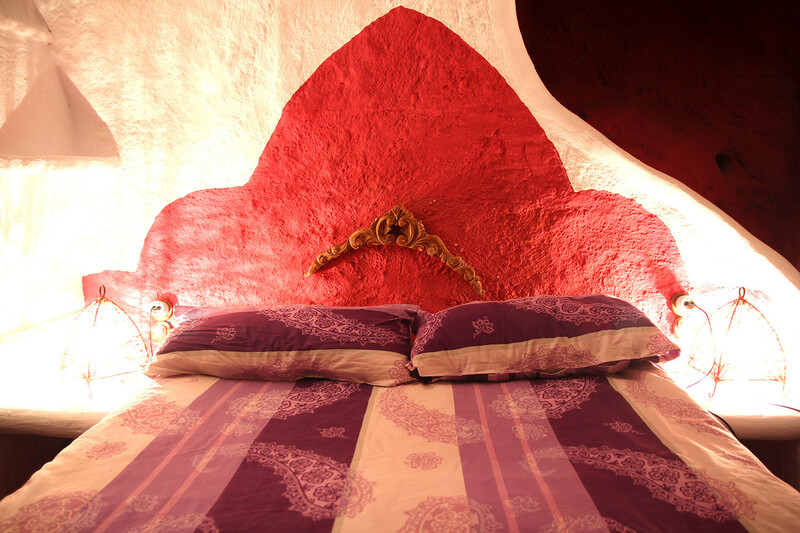 The cave has 2 bedrooms with double beds, a (children) bedroom with 3 bunck beds, a living-dining room, a kitchen, a bathroom and a sauna. 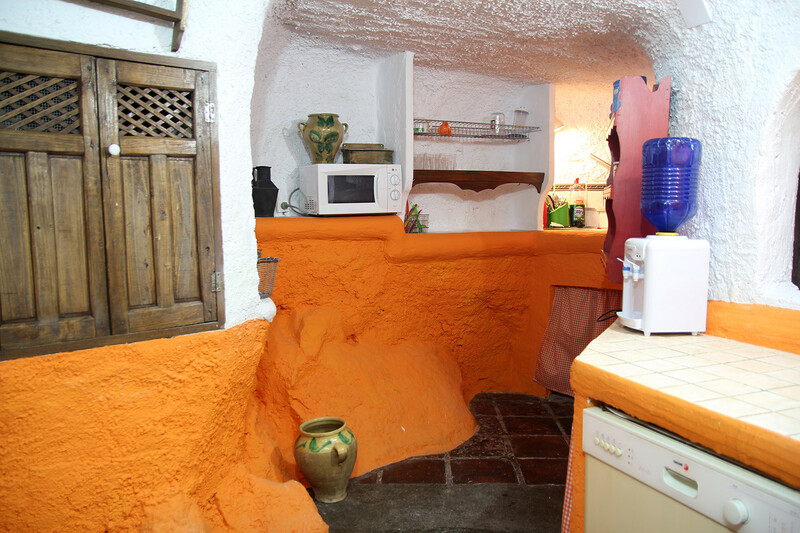 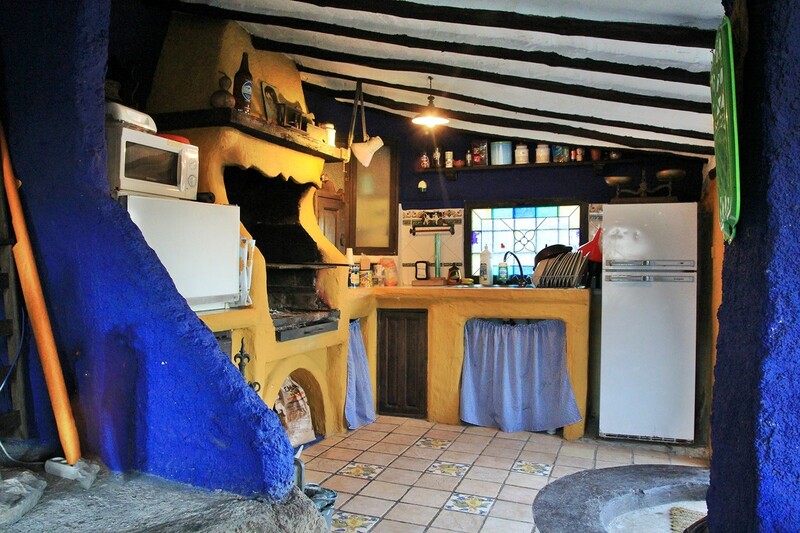 On the top of the cave is another big kitchen with a terrace and a indoor barbecue. 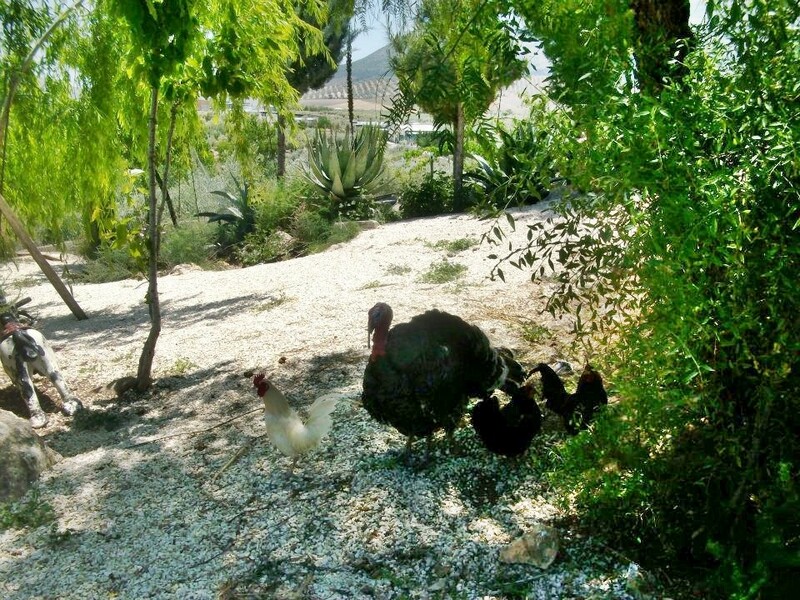 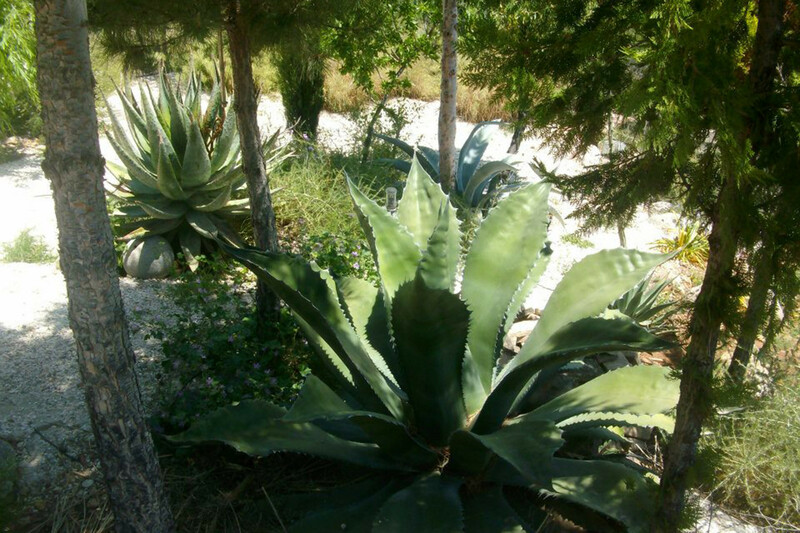 The house (170m2) is surrounded by a big garden (1000m2) with a lot of different kinds of plants, several fountains and ponds and some chickes and peacocks are walking around. 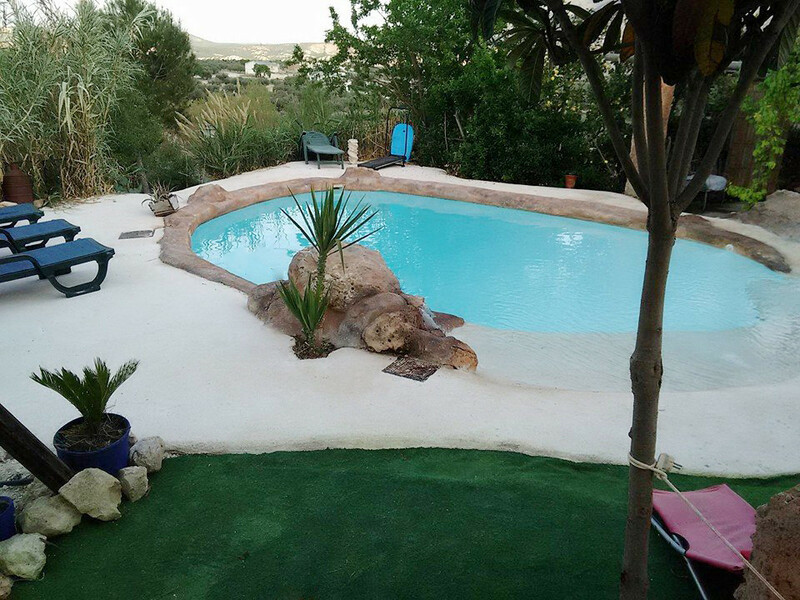 In the garden is a private swimming pool and a jacuzzi situated. 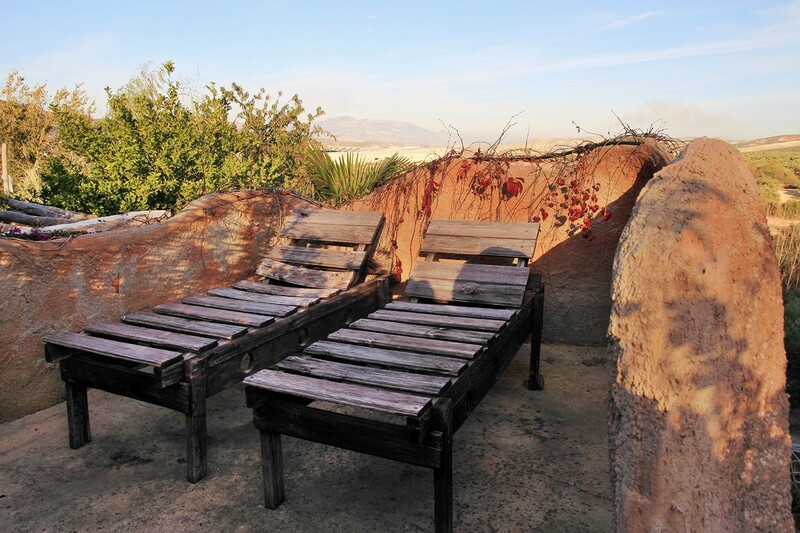 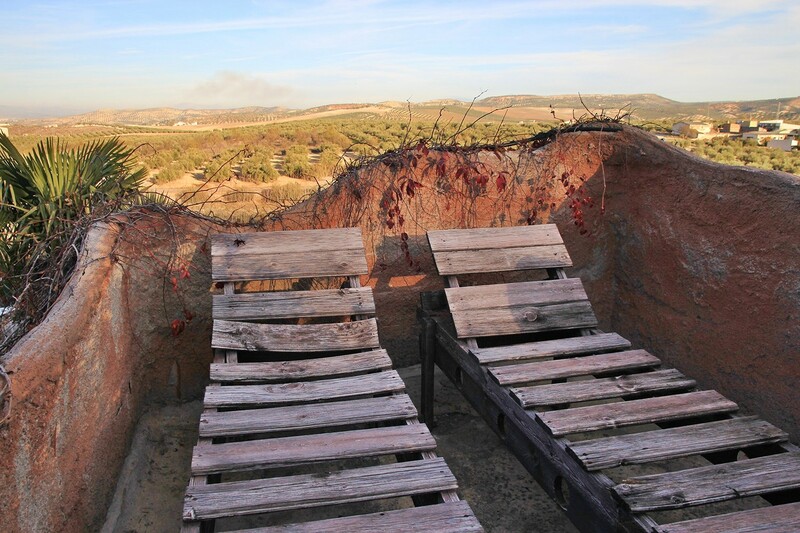 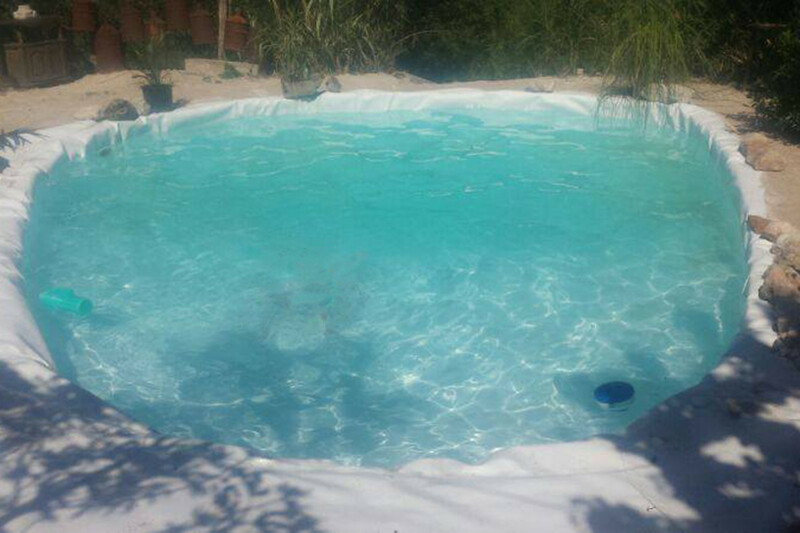 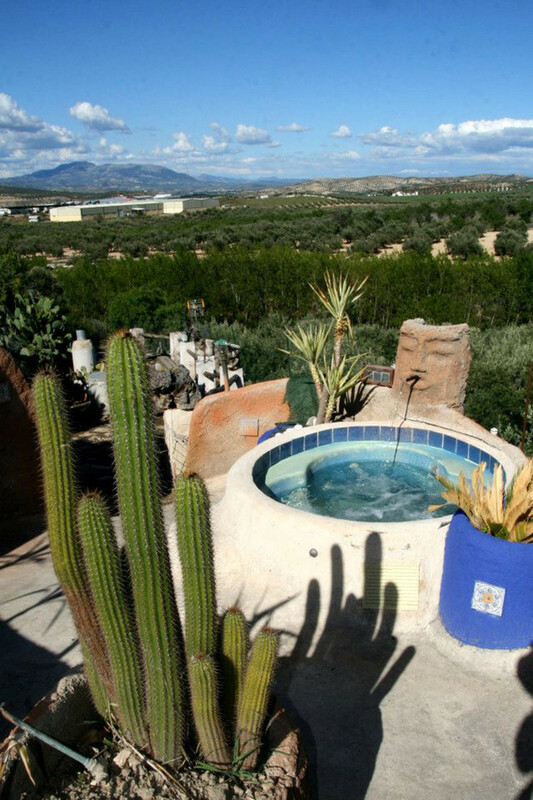 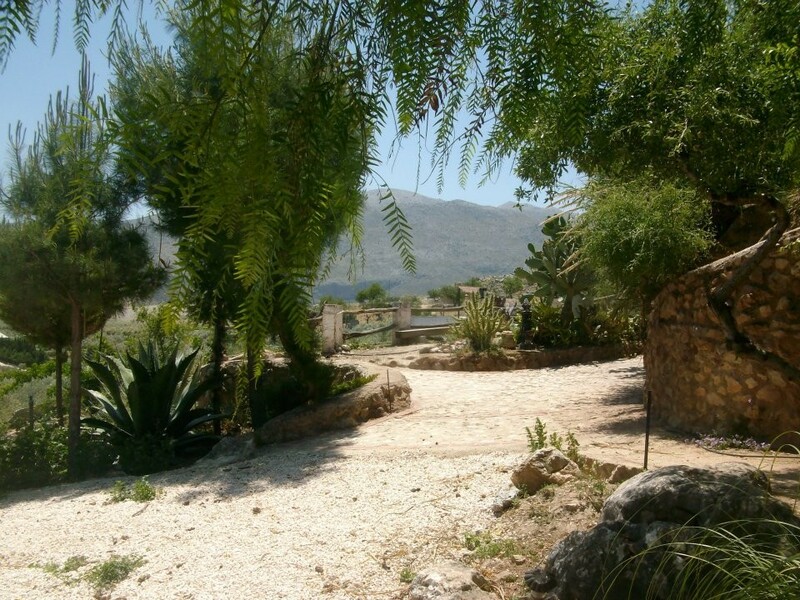 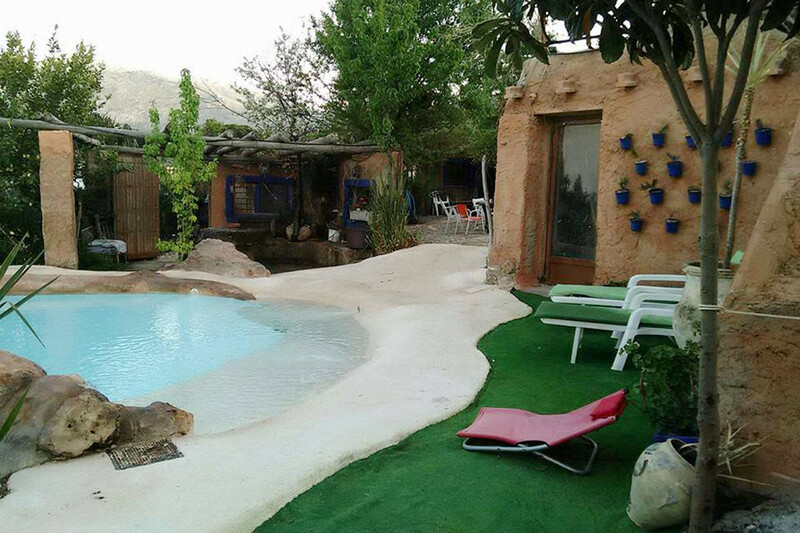 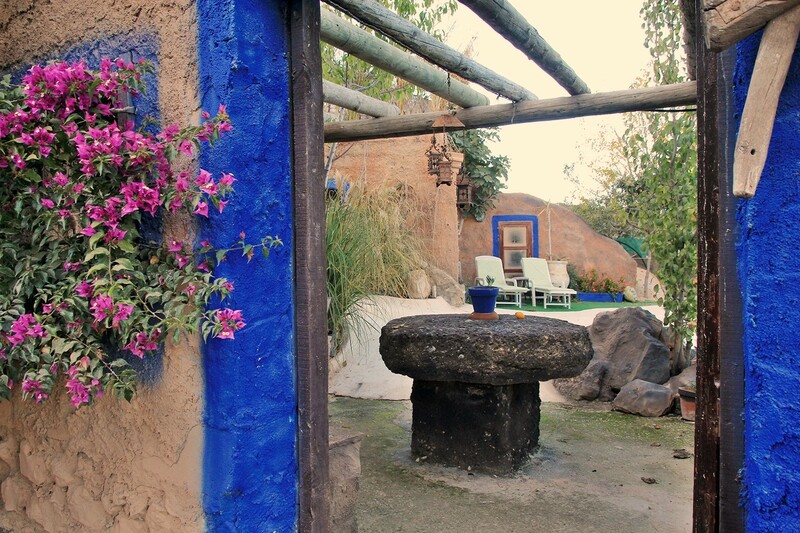 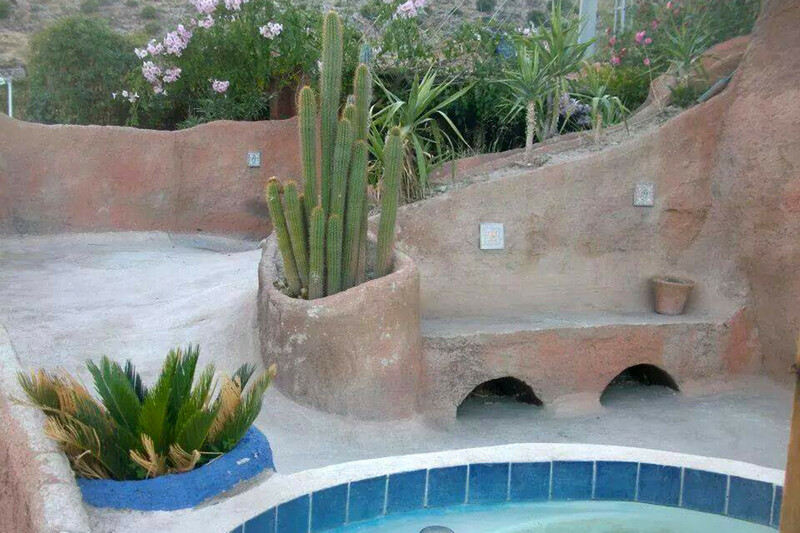 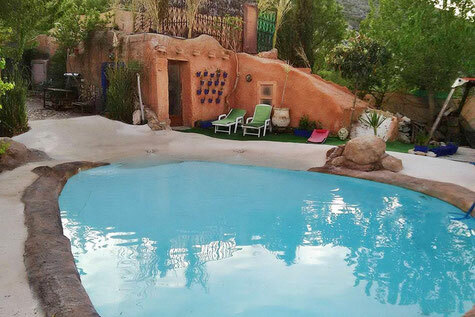 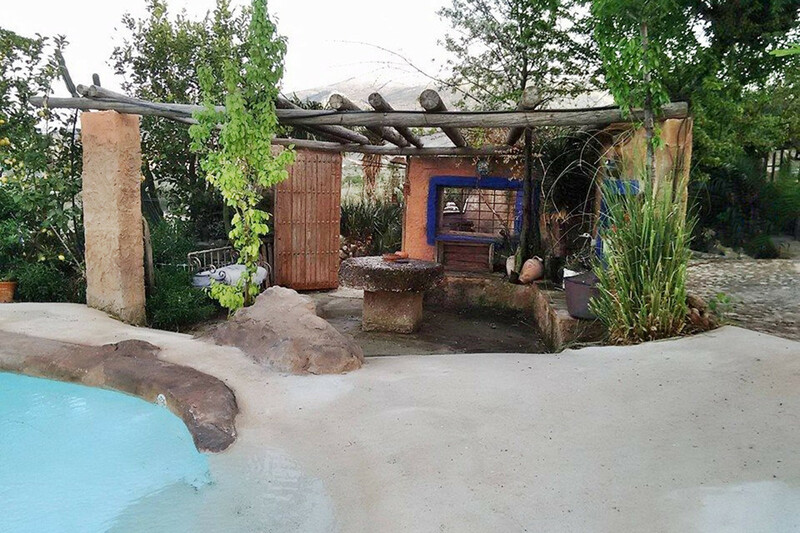 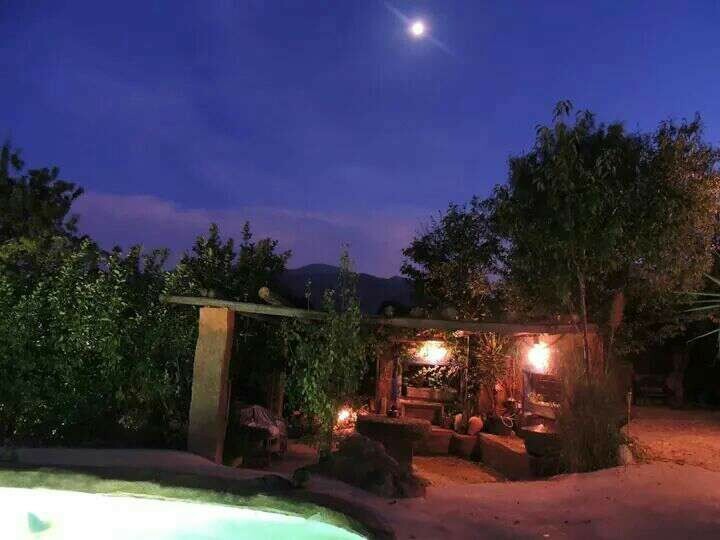 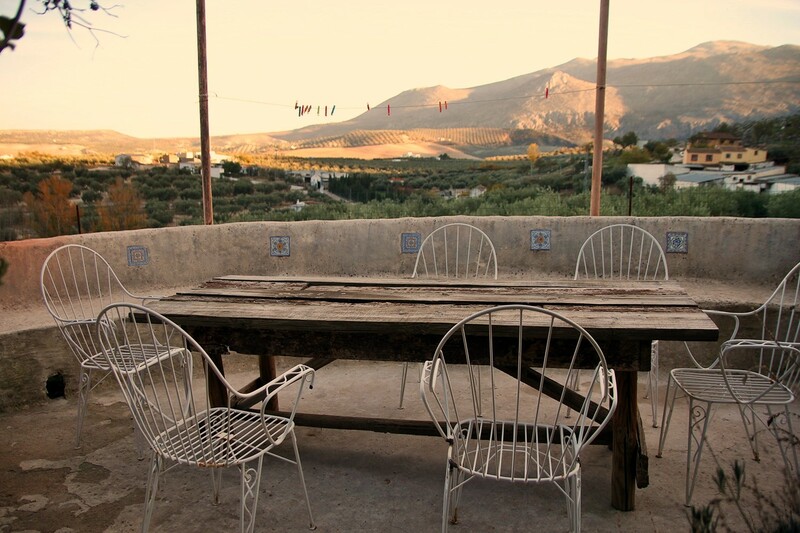 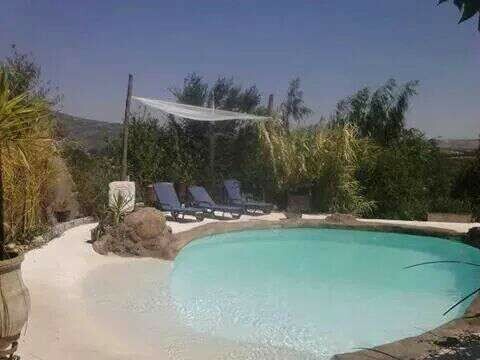 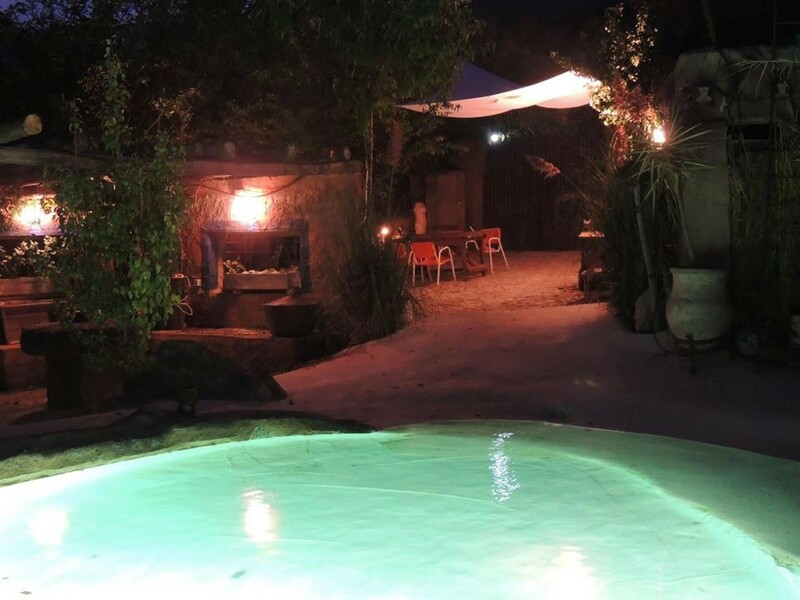 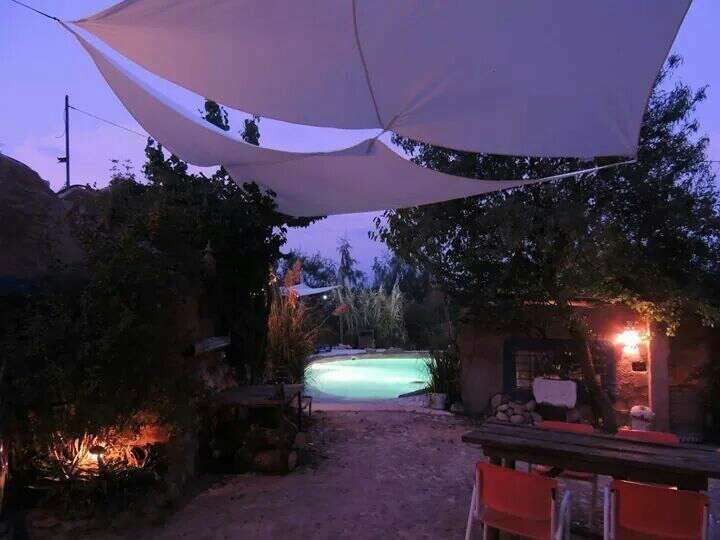 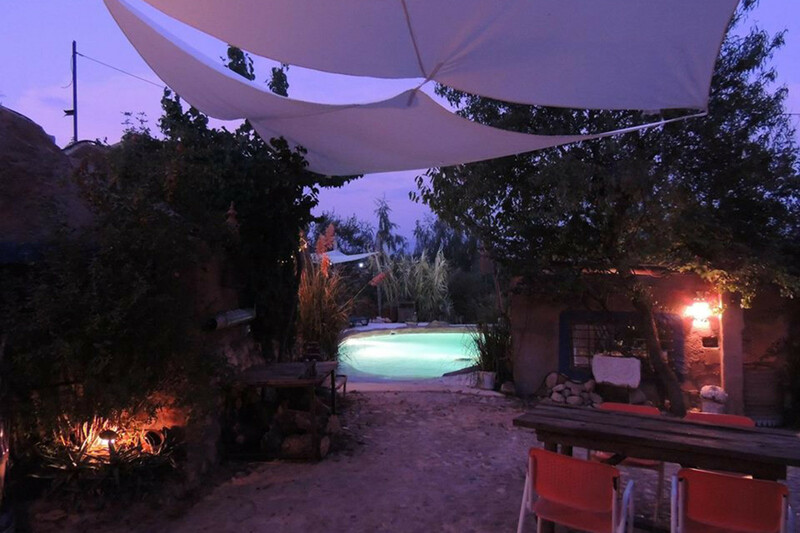 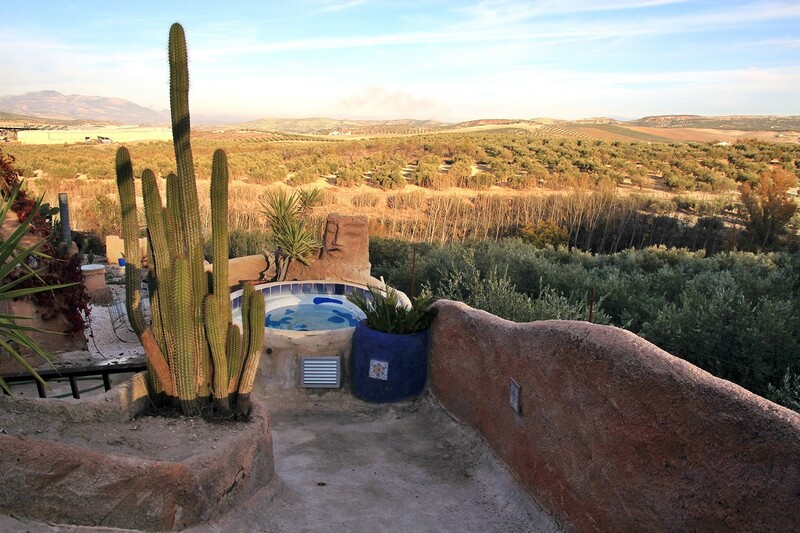 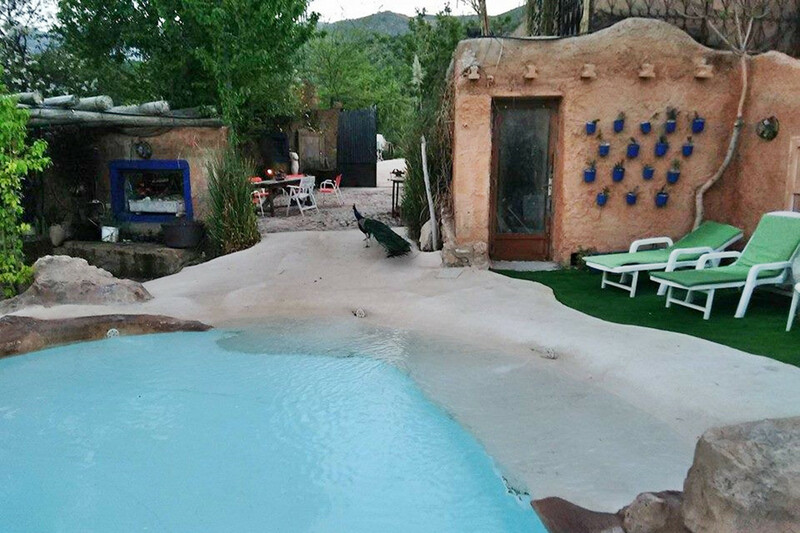 From the jacuzzi you have stunning views on the country side and the mountains of Loja. 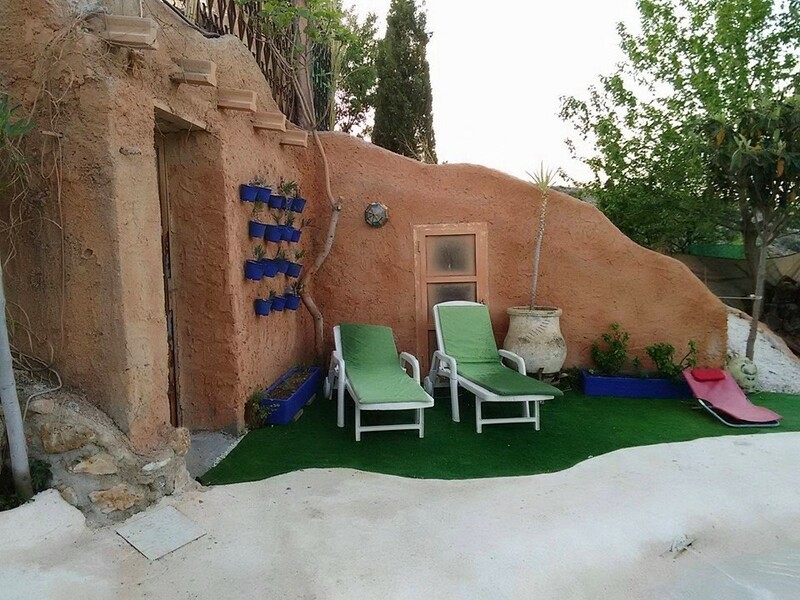 Next to the pool there is a solarium, a terrace and a porch. 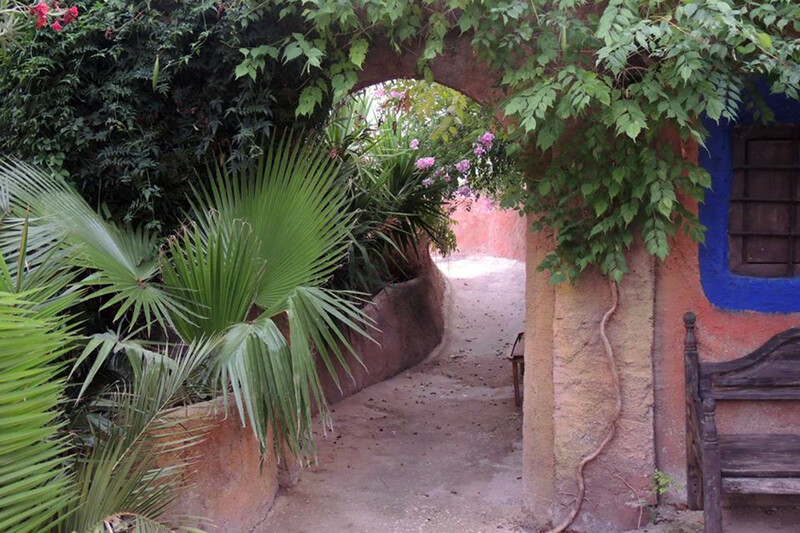 The garden has a lot of private areas. A parking is situated next to the house. 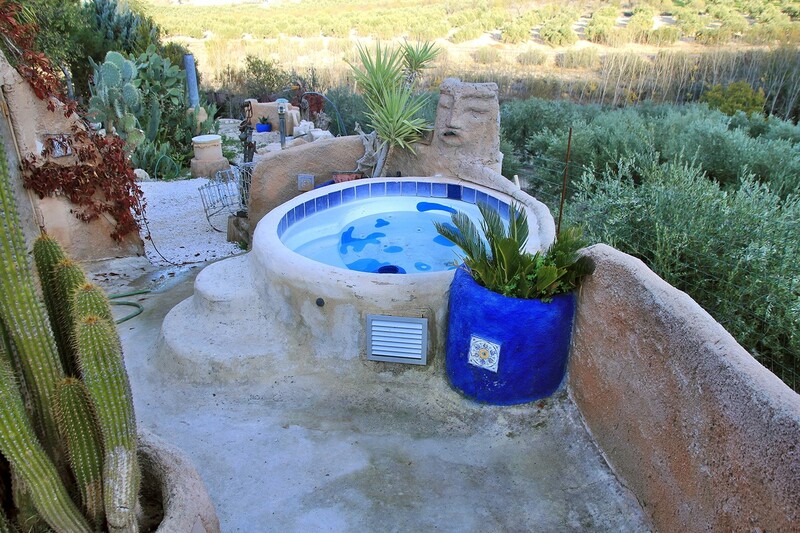 In the garden is a swimming pool and a jacuzzi situated.